A what? A zafu. That’s a fancy name for a traditional meditation cushion. 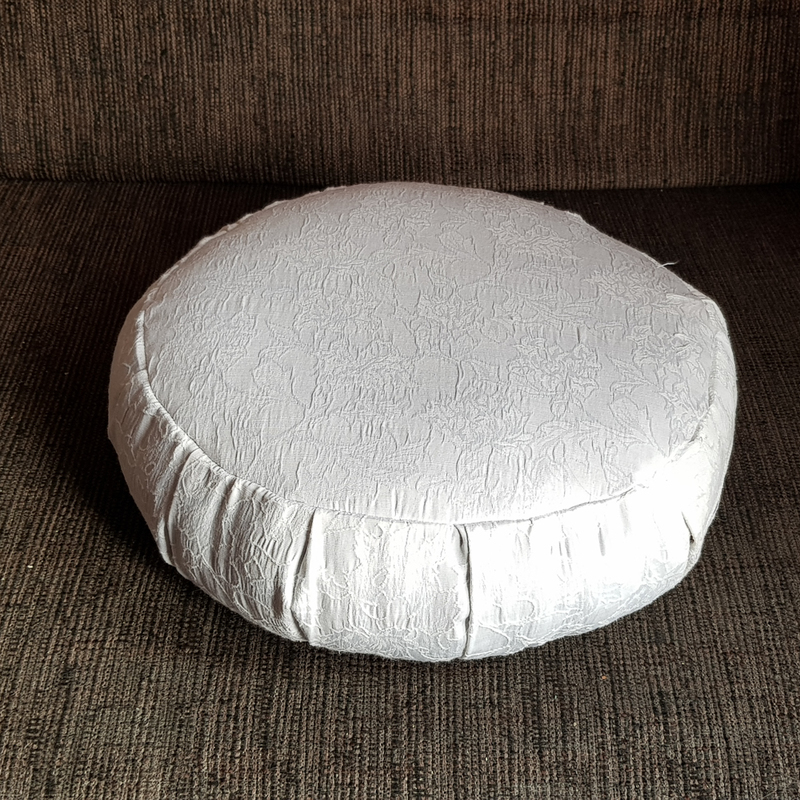 It’s a round cushion that is designed to support you keeping your spine straight while meditating. 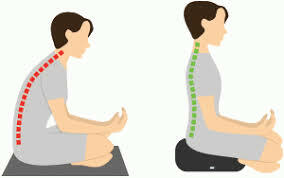 I usually sit cross-legged while meditating, on my couch, but my lower back tends to collapse a bit because of the strain of the position of my legs. When sitting on a zafu, your knees are below your hips, resting on the ground. The rounded edge keeps it comfortable, so that your thighs don’t press into a hard edge somewhere. I found out about the zafu at my yoga centre. Yes, I started doing yoga, just like I planned! I’ve been to an introduction course, to Tibetan yoga, and to a five elements plus meditation practice. Additionally, I have been meditating almost every single day since that particular blog post. It’s good for me, and I’m slowly getting better at it. I’m a bit more mindful in every day life, and I’m breathing more freely. Back to the zafu. I sewed a bag recently, and that opened my eyes for the possibilities of sewing. Bags are marvellous, of course, and I will make many more, I think, but you can also sew clothes (scary!) and useful objects (slightly less scary). 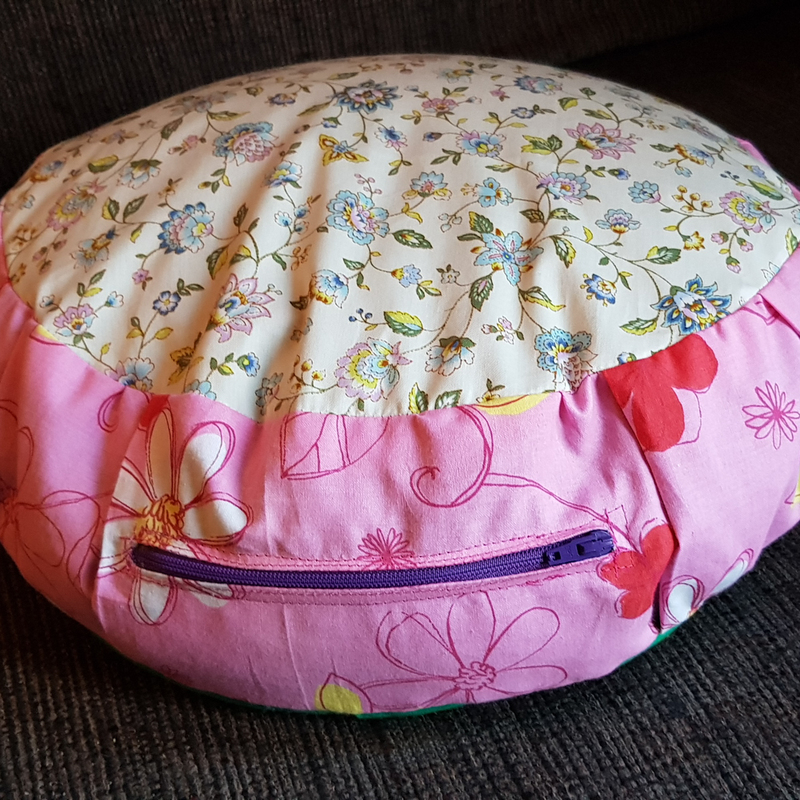 I thought that I could manage sewing a zafu, it didn’t look that hard in the tutorial that I found. I did decide to change the instructions a bit, though. I wanted my zafu to have a zipper, so that I could easily remove or add more filling. I also decided to make a pillow cover to go around the actual zafu. I used some old white fabric that I still had, relatively sturdy, and an ugly brown zipper. As the cushion would be covered, I didn’t really care what colour it was going to be. I used a plate to create the top and bottom circles, and decided to cut a 14 cm wide strap for the body. With a 1-1.5 cm seam allowance on each side, it would become a bit over 10 cm high, which I think would be fine for me. Of course I drew the circle on the right side of the fabric… oh well. I added all the pleats to the long bit. 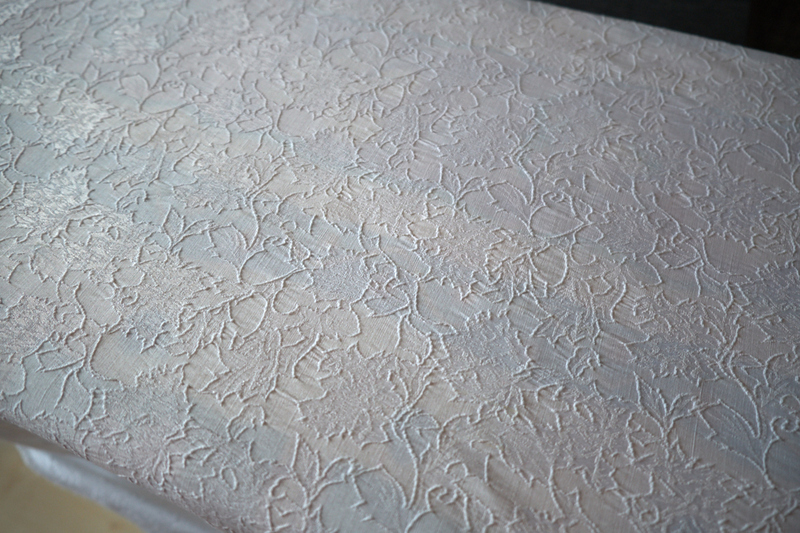 The pleats make the edge of the cushion smoother. The filling moves around in the cushion, following your buttocks as well. Then I added the zipper to the long bit of fabric. I didn’t make a picture at that stage, but here’s a picture of the zipper after putting the zafu together. It was time to sew the parts together. I used quilting clips to hold the fabric together, right side in. I sewed the top and the band together, and repeated the process for the bottom of the zafu. Then I turned the zafu outside out. I didn’t have filling yet, so the zafu sat around for a few days while I waited for my buckwheat hulls. I was using those because they are basically a waste product, and perfect for filling this kind of cushion. The buckwheat hulls arrived yesterday, and today I had time to finish the zafu. It worked! The buckwheat hulls are quite small and comfortable to sit on. The zafu is the right height for me. Time to make a cover! Hmm, pink isn’t in the list, but I think that it’s an active colour as well, as opposed to the green. And I chose a purple zipper. Colours galore! I drew a circle on the top and bottom fabrics (wrong side this time!) and cut about 1.5 cm around it. I cut out a 14×150 cm band from the pink fabric. Then I pressed the parts. I followed the same process as for the zafu itself. I pleated the band, stitched the top and bottom, and added a zipper (finally straight and fitting into the hole, yay!). Then I started putting the parts together. I shortened the band as needed, and used the quilting clips to construct the cover. I sewed the top onto the band, following the circle line that I drew initially. I did end up sewing extra layers in and having to backtrack a bit, but in the end I managed to get it together. Same for the bottom. I zig zagged the seams and turned the cover outside out. While doing that, I got worried. The zipper opening seemed awfully small… would the zafu fit through? I expected it wouldn’t. And I was right. What to do? 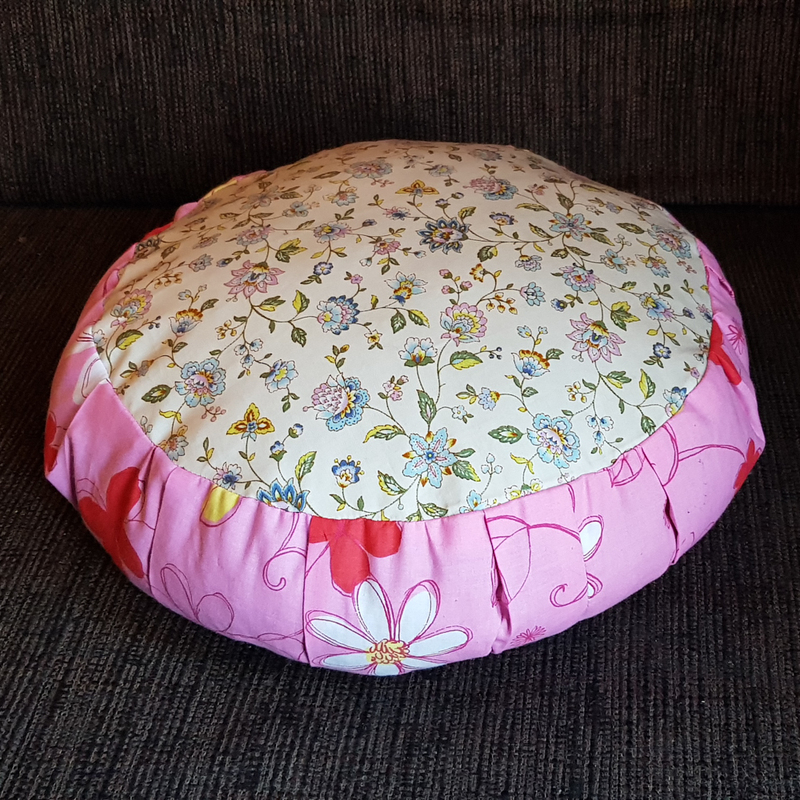 The fabric was less sturdy than the other fabric, but I decided to try and see if it would work as a cushion. I filled up the zafu with buckwheat hulls, and now I had two! The zipper is in there without leaving holes. The original white zafu had small holes through which the buckwheat hulls could potentially leak out. I decided to try it out immediately, and I meditated my Daily Calm on the new zafu. It worked really well! Then I sat down on the couch with my zafu next to me. Freya jumped onto my lap, lay down, and spread out. In the end, she rested her head on the zafu. So cute! Then she woke up, stepped off my lap, and took her seat on her, I mean my, zafu. Of course this would not work. The fabric isn’t sturdy enough to resist her nails (she will probably start kneading it at some point). So I had a brilliant idea. Wasn’t there another zafu in the house? 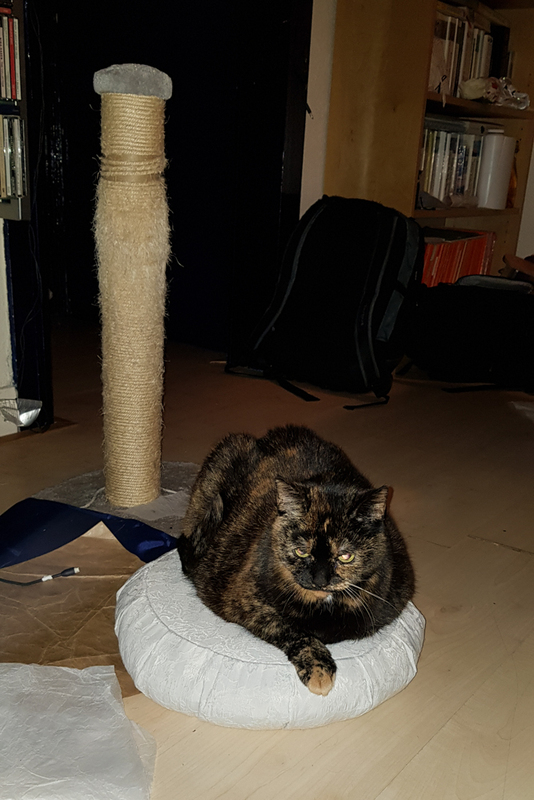 My colourful zafu was in Freya’s spot, so that’s what she preferred. But when I put the white one at her favourite spot, the choice was easy!